This ecological adventure park was selected by Tour and Travel Magazine as the 23rd “Coolest new Place in the World” to visit in 2011. Breathtaking nature and exhilarating adventure meet in this park located in Orocovis, right in the heart of the island. 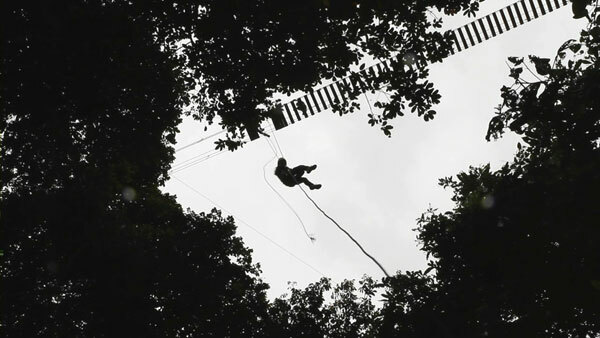 There are more miles of cable in this zipline park than in any other in the world. 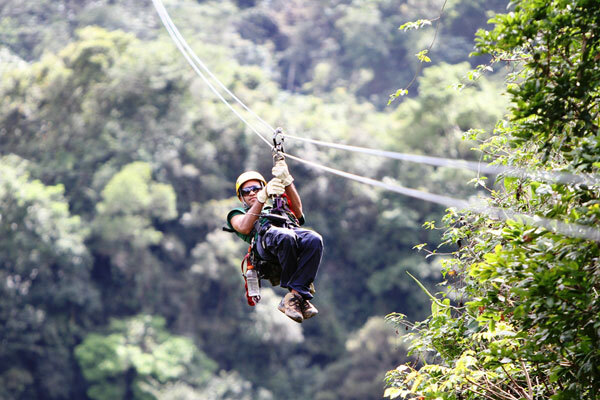 Tours comply with the strictest security guidelines, even so that ziplines have two safety cables. Special offers for groups, package tours and children adventures are available. If you love the thrill of an adrenaline rush, this is a must! Includes 8 two-line wires, each with arrival and departure platforms, and small walks across multiple platforms. 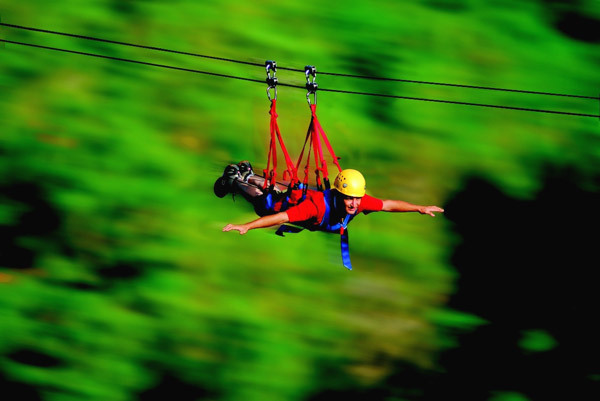 Fly as a bird with a special harness on one of the longest single run zip-lines and, with a length of 4.745 feet, approach speeds up to 60MPH. The most thrilling adventure! Enjoy two cables, 5 suspension bridges, a rappelling of 230 feet to the waterfall, and lots more. 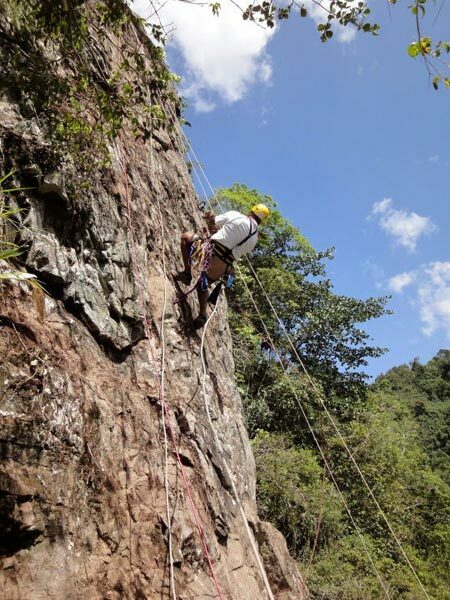 Combines the exhilaration of flying platform to platform 300 feet above the rain forest, to an area where you rappel down the face of “the Big Rock”.